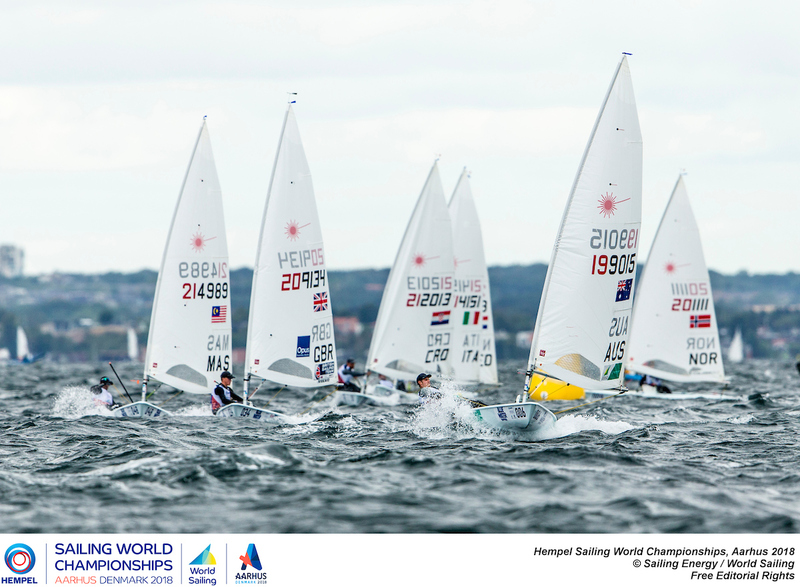 (Aarhus, Denmark) Two more races were completed in the Laser Standard and Radial fleets of the Hempel Sailing World Championships. The third day of racing brought breeze, chop, and changes to the leaderboards. In the Laser Radial fleet, the same names remain atop the leaderboard, but they are rearranged after the third day of racing. Two second places from Anne-Marie Rindom saw Denmark claim first overall. Norwegian Line Flem Høst moved up from third to second place overall after winning her first race in the blue fleet, and finishing ninth in her second race to maintain top-10 finishes for the day. 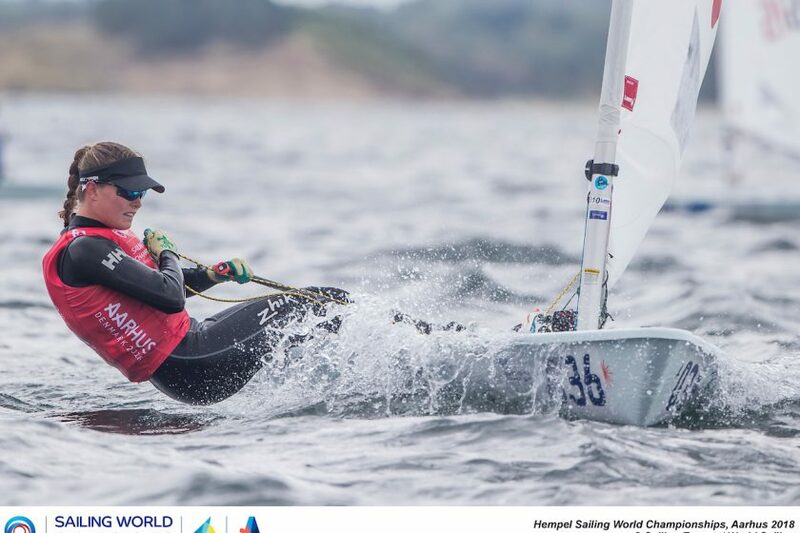 After the first two days of racing, Paige Railey of USA had held on to first place overall, but after two consistent seventh-place finishes today, she now sits in third overall. The surprise is from Netherland’s Olympic champion Marit Bouwmeester, who is still back in ninth after a 16th place in her first race of the day. The Laser Standard fleet showed some new names on the leaderboard after Day 3. Despite a thirteenth and fourth place, New Zealand’s Rio bronze medallist Sam Meech remains in the lead, but the field of Olympic and World Champions is not far behind. The most interesting competition has been that among the Australians. Tom Burton was leading the charge the last two days, but after finishing second in his first race of the day, he had a difficult second race finishing 27th. Luke Elliott and Matt Wearn, however, both finished third in the first race, before winning the second race in their respective fleets, which has tied them up ahead of Burton with 13 points each. Olympic medallist and World Champion Pavlos Kontides of Cyprus had an outstanding day today with first- and second- place finishes in the red fleet, which has tied him up with Burton overall. Competition is strong and close across the three fleets. All Laser fleets have a reserve day tomorrow to rest up before the final racing on Tuesday and Wednesday, which determine the medal race competitors.